Discarding this card from play while it is the Active Pokémon prevents you from advancing the match. 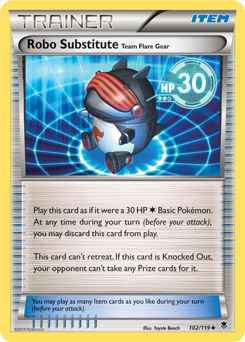 Due to the potential impact of this bug, this card has been temporarily banned from play until a fix can be deployed. A fix for this issue was deployed during this afternoon's server update. This card is now available for play.